2. Should have Good Communication skill. 4. Minimum 15yrs of regular education (10th + 12th + 3 years Graduation). 5. Not more than 2 years of gap in Graduation. 6. Graduates through Open Universities/Correspondence graduates need not apply. 7. Ready to work in any shifts. 8. Should not have any arrears/Back logs. 9. Candidate would need to carry a copy of the resume & 2 passport size Photograph with Original photo ID proof (Mandatory). Mandatory: Take a copy of this mail, Mark my name (Sowmya Jayakumar -HR) on the top of the resume. TCS does not charge any fee at any stage of the recruitment & selection process. 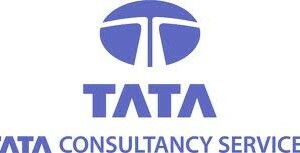 TCS has not authorized any person / agency/partner to collect any fee for recruitment from candidates. If at all you notice the above please bring it to our attention immediately.